Product prices and availability are accurate as of 2019-04-17 02:10:35 EDT and are subject to change. Any price and availability information displayed on http://www.amazon.com/ at the time of purchase will apply to the purchase of this product. 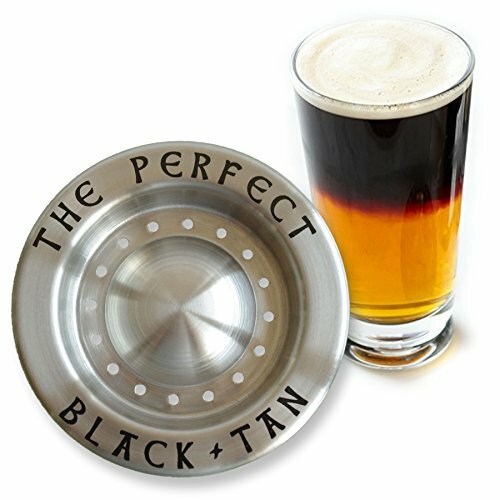 With The Perfect Black And Tan beer layering tool you can make all kinds of pub-style layered beer cocktails. Easily layer beers with different densities. Endless experimenting possibilities. Instructions included. 100% Money Back Guarantee! 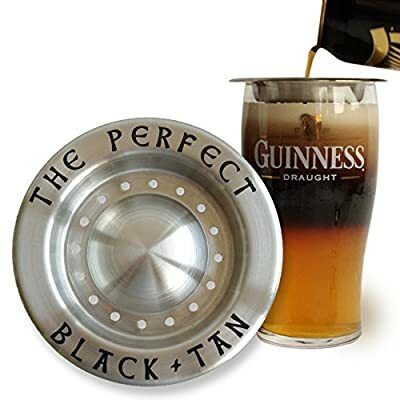 Make great black and tans or you money back. No questions asked! 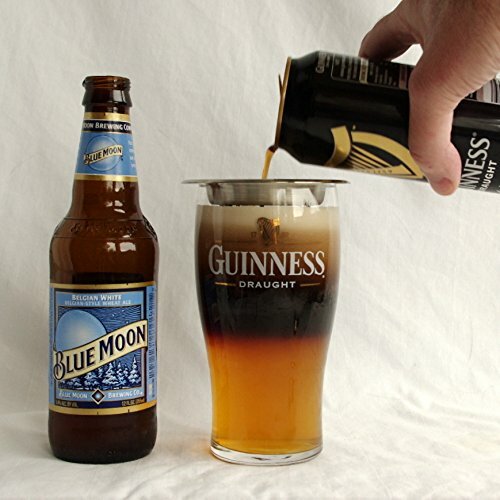 If you can pour a beer, you can create a perfect black and tan layered drink. It's as easy as it looks! Choosing the Type of Beers: It is very important to know that not all beer combinations will layer well. Obviously, many beers will have almost the same density. Often they will mix even when pouring very gently. Experimentation with many different beers is necessary. Here are some rules of thumb to help. - When in doubt as to whether to try the dark beer on the top or bottom, try the dark beer on the top first. You will be able to tell right away if it works or not. If it doesn't layer and the dark beer drops down quickly into the lighter bottom layer, reversing the layers will often result in a good combination. These rules say 'generally' because there are beers that will layer over a Guinness Draught (ie Miller Lite) and beers that will layer under a porter (ie Franconia Wheat). Black lagers may work well as a dark bottom layer or a dark top (ie Bottom: New Belgium 1554, Top: Shiner Black Lager).